Ready for take-off! 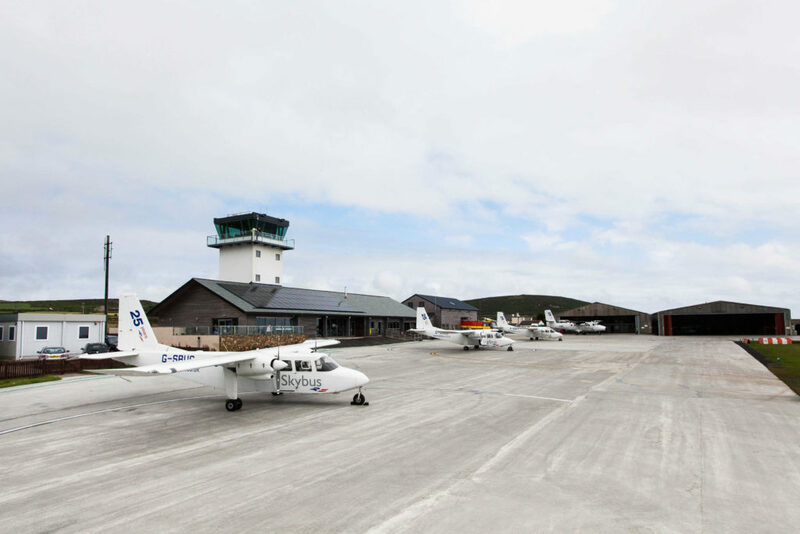 Skybus pilots review the new runway at Land’s End. Home> Blog> Island life> Ready for take-off! Skybus pilots review the new runway at Land’s End. How long have you been flying with us? Philip: Seven years! I started off flying the scenics, it was a smaller aircraft and we did banners. Flying with passengers is a lot more interesting, and a lot more demanding. 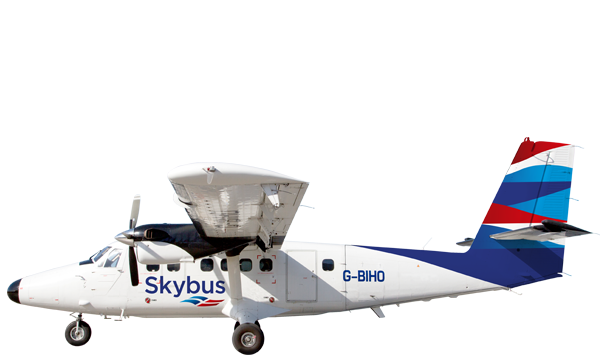 Andrew: I’ve been flying Skybus for three years, but before that I was a passenger handler – so I’ve been working for the company for five years in total. How have things changed within the company in that time? Andrew: Massively! We’ve seen some amazing changes in the company – not just with the airplanes, but with the boat too. When I was a passenger handler I worked in the old terminal [at Land’s End], I don’t want to say it was a garden shed, but it was! The new terminal is brilliant; it’s what the route needed. What do you think of the new hardened runways? Andrew: I was the first one to land on the new surface. It’s really smooth, arrow straight, and it anchors Land’s End Airport as a decent route in all weather. What was it like using the improved runways for the first time? Philip: Because we’re used to grass, it was very smooth. It’s a slightly different technique, and there aren’t any bumps. Andrew: The acceleration was better as grass slows you down a bit. It’s also much more comfy for the passengers. The grass used to be a little bumpy in places and the waterlogging caused divots – whereas now, with the tarmac runways, it’s so smooth. So how did you decide who’d be first to land on the new surface? Andrew: Actually it all happened by accident! 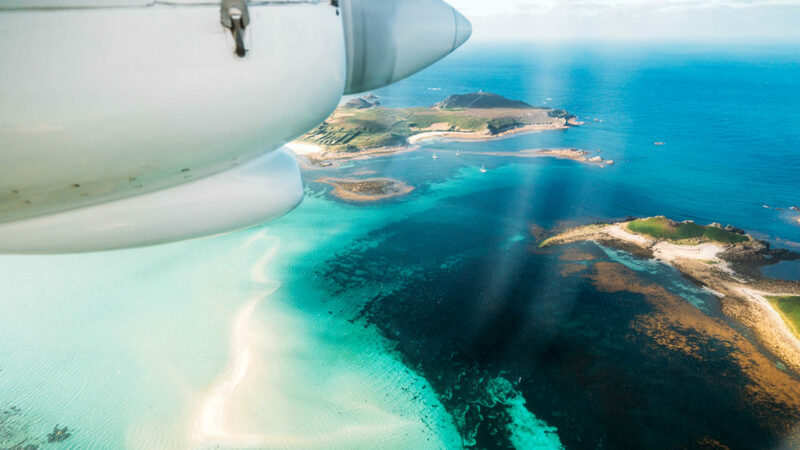 A pilot was supposed to fly the Twin Otter down, but because of how the day worked out, a colleague and myself were in an Islander – and him being a gentleman, he let me buzz in first. There was a little staff welcoming party waiting for me! 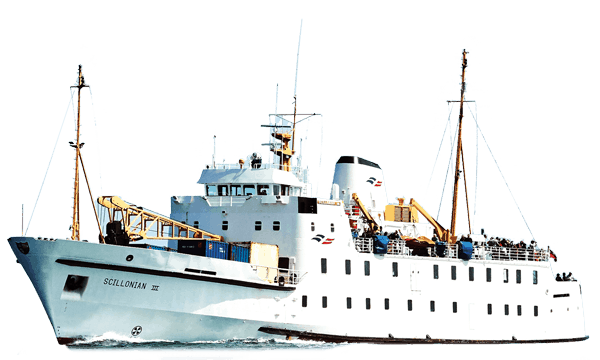 Do you think the upgrades will make a big difference to Scilly’s locals? Philip: Absolutely, we usually have to make other arrangements in the winter and that takes a lot of planning. Andrew: For the past two winters we’ve been waterlogged and we’ve had to close. It’s got to be almost impossible for tarmac to get waterlogged! 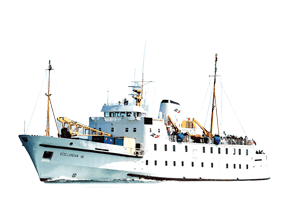 Could you please describe your route to Scilly? Andrew: It’s really nice being the first one out in the morning. You get the sun coming up and there’s hardly any wind; the sea is flat and calm, just like glass. You see Sevenstones Lightship around the midpoint, 17 miles offshore, and if the sun’s coming up it lights up. The journey is really relaxed – you can’t really call it a job when it’s like that. Philip: The islands are spectacular! When you approach them from 1000ft and the tide’s out, it’s absolutely beautiful. It surprises our passengers – you don’t get that sort of approach anywhere else. Andrew: I’ve always wanted to be a pilot, so it’s the flying and the people that I fly with. We’re a unique bunch. 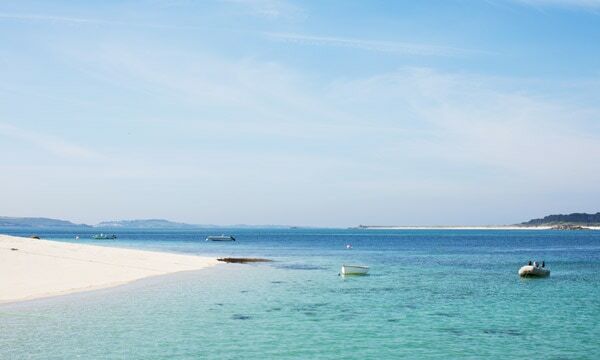 Why did you choose to work for Isles of Scilly Travel? 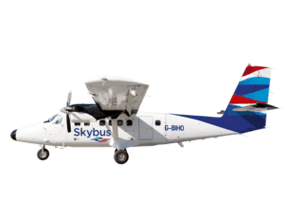 Philip: I live locally, and you don’t get a better flying job than Skybus. 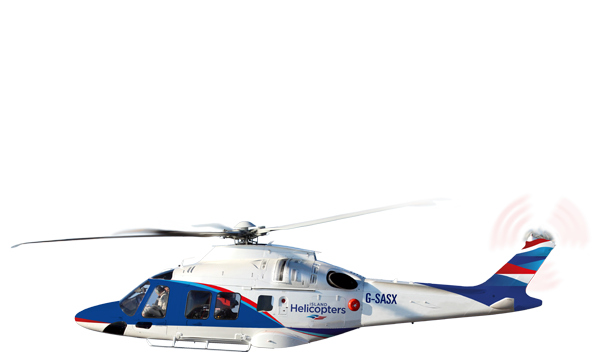 We have two different aircraft to pilot and we fly from a variety of locations. Andrew: I’m local, and the flying is really unique – there aren’t many other jobs like this in the UK! The operation is brilliant; the airplanes are in really good condition and are renowned for what they do. Each day is different, there’s always something going on. 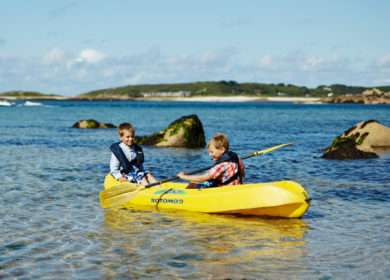 If you could give people one reason to fly to Scilly from Land’s End, what would it be? 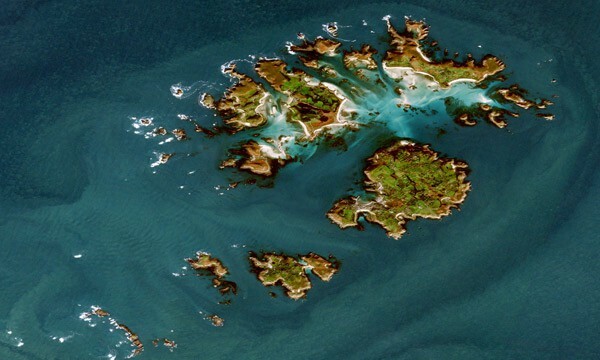 Andrew: Scilly is a unique place. The beaches over there are absolutely brilliant. 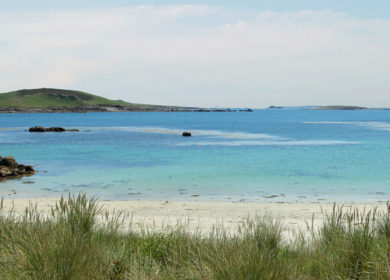 It’s similar to Cornwall in a way, with the heather and the rocks, but you’ve got the bright white sand. Everything’s nice and slow over there. It’s a lovely place – well worth a visit I’d say! 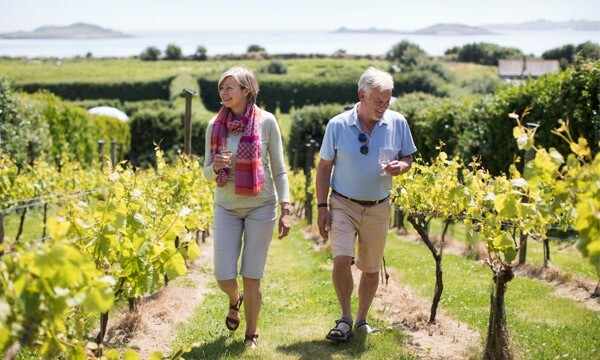 PreviousScenic flights: See Cornwall in all its majesty!